The job market is becoming more and more competitive as the ease of gaining skills has become easier. The advantage of this situation is that it’s easier for you to become even more well versed in skill sets as well! In the end, the person who gets the job is the one who has dedicated more time and effort into improving themselves for the sake of their career or those who have made an effort to build a skill set from nothing to get their foot in the door for a career. One may ask themselves how they can become a competitive applicant in the computer science job market when they’ve been out of school for so many years or haven’t had any schooling at all. Though sometimes a degree is necessary for jobs, there are other ways to obtain the knowledge and necessities needed to perform a job in the computer realm. The answer is quite simple: the website Udemy. I stumbled across this website myself as I was seeking out resources to enhance my skill set and build up my resume, and have utilized this site over and over as I continue to build on my skills. This website offers numerous courses, some even free, that will allow you to boost your resume and increase your skill set in whatever field or interest you aspire to learn more about. 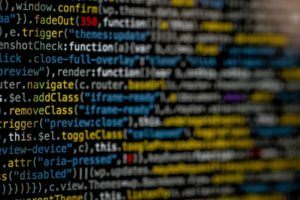 Though the realm of Udemy is broad, this article will highlight some of the online computer training courses on it to guide you into becoming a well-versed computer expert. Online computer training courses are easy to enroll in and offer you the flexibility of taking classes at your own schedule and choosing ones that will meet your need. Better yet, taking classes online doesn’t have to break the bank, unlike college courses. Udemy is the perfect website to meet your goals at an affordable rate, as some courses are free and others are very fair priced considering their instructor’s background. A special feature of this website is that the courses can be designed by anyone, so you may see numerous course listings for web development, and they will all be different, and offer unique ways to improve your skills. Further, as you increase your knowledge and skill set, you yourself can create a course on Udemy, thus creating a course for extra income. Now that I’ve mentioned the awesome benefits of taking online computer training courses at Udemy, let’s dive into what types of courses are offered through this website of knowledge. Those of you who are new to the computer field will benefit from the Master Computers course, as they take you from step one to an expert in a one-week course. Udemy highlights that the instructors for this course have 15 years of experience in teaching and that you will learn all the skills necessary to become a computer expert. This course would be helpful to anyone who is interested in getting into the computer field but isn’t sure where to start. The course is taught with at-your-own-pace video lectures, and you will have lifetime access to the content of the course. Maybe you need another course to really understand computer science and software. Lucky for you there’s the CS101 Boot Camp course just for that reason. Sometimes it takes an additional course for things to really click and before you may feel ready to move on. With this course, you’ll fully understand how computers work inside and out. You’ll learn about databases, mobile apps, and cloud computing. This course will also serve as an introductory to the writing of basic software programs and applications. This course can be taken by the most beginner or the beginner; even those who have never used a smartphone or computer can learn through this course. After you’ve passed the preliminary computer training with flying colors, you’ll wonder where to turn to next in your new field of computer science. Your next step will naturally lead to programming and software engineer. Through this program, you will learn about computer science theories, theories of algorithm analysis, and how to sort said algorithms. 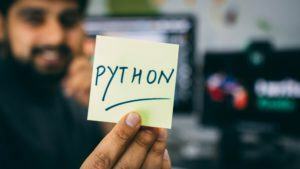 This may all sound overwhelming at a first read, but the course guide assures that even those with no experience will leave the course with a new-found knowledge and expertise in computer programming. Further, the course instructor offers a 100% money back guarantee to those who don’t feel fulfilled by the course. Need more convincing? Check out the reviews from those who have completed the course and you’ll be sold in no time. Through Udemy you will learn about the latest version of C++ in an easily understandable manner. You’ll be given exercises, quizzes, live training, and various assignments. Before graduating from this course, you’re sure to know the full ins and outs of C++ backed by the instructor’s guarantee. Another can’t-miss opportunity comes from Tim Buchalka’s learn programming academy. Within this Java Programming Masterclass for Software Developers, you’ll learn how to become a computer programmer and learn invaluable Java skills and Java certification. The best part about this course is that it only takes 14 hours to complete! That’s right, in just 14 hours you’ll be an expert with Java programming. After completing this program, you’ll have the knowledge to complete the Oracle Java certification exam, and you’ll have the knowledge to train others in your field. Note that these are just a minute portion of the courses offered on Udemy. This article serves to give you a small taste of what is offered and how it can enhance your career. Notice the common trends throughout these courses are that they will all be available to you for your life, so you can always refer back to concepts, lectures, and exercises while immersing yourself in the computer science career. Further, all these courses are the same cost at the moment and are all taught by experts in the field. The courses are comprehensive in their nature, so anyone who takes these will benefit from the knowledge they present. If you find that there’s a concept you’re struggling to grasp within the courses, you can reach out to the instructor for further help, or you can certainly find a specialty course to really nail down the concept. Maybe you already have the content in the courses we presented down pat, and you need something else, don’t worry, the interface through the Udemy website is easy to navigate, and you can explore other courses that would better serve your needs. For your time’s sake, we have really narrowed down the courses presented in this article to basic components for those who have no experience with computer science or those who have very minimal training. 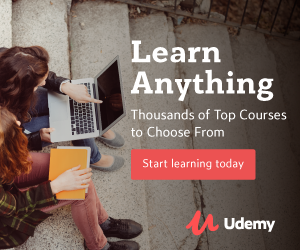 There’s no time like the present to start at Udemy. You can literally start whenever you want and now is a perfect time. Udemy offers various deals, so while normally these classes may be over $100 they offer them at a low rate of $9.99 at certain points. At the time of this article write up, the cost is still $9.99, so if you’re reading this right after the release and are seriously considering ramping up your skill set, I encourage you to jump on this opportunity fast. Need more motivation to start this path? A quick Google search reveals that a Software engineer makes on average $46,150 a year, and a C++ developer makes on average $115,254 a year. So, while it may seem like a burden to pay for classes and it may seem daunting to sit at a computer and learn these foreign concepts, it will pay off in the long run. Further, there is a projected growth of 19% in computer science careers in the next 7 years, so there’s plenty of careers out there for you to snag! Unfortunately or fortunately with computers, there is a constant evolution, so one may never be fully competent. Even if you’ve mastered C++, there will likely be a new version in the coming years that will take another course to master. Consider this as you move through the career of computer science and begin thinking about what classes you’d like to take on. Make sure that you do not take any courses with outdated material, or you will be wasting your time and money. Finally, my advice is to do what you enjoy. If you enjoy a certain part of computer science, focus on learning and mastering that, because you will get more out of the courses. There are many technical components that go into computer science, and you do not need to master all of them, just the ones that you enjoy.